On Saturday August 15th, my virtual book tour comes to an end. 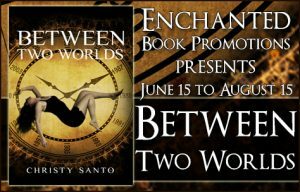 I have been very pleased with this tour and all Enchanted Book Promotions has done to promote my new book Between Two Worlds. They have promoted it on Facebook, Twitter, and Google Plus as well as creating a page at Books Chatter with the trailer, synopsis, links to book excerpts, BTW reviews, and interviews I did on various book oriented blog websites. Once the tour is over they will give me a list of 25 people who will get a free digital copy of my book. If you have not entered the contest, I encourage you to do so through Book Chatter’s Facebook page. I’d also like to get reviews from regular readers, not just bloggers, and this is less predictable . To see what I can do to “help this along” I have been surfing the Internet looking for websites that will allow me to offer my book for free in return for an honest review. I do know about Story Cartel but it has not worked out for me as it has for other authors. 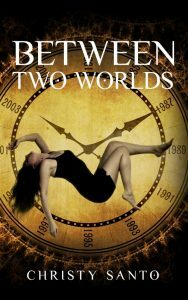 I have also tried Readersintheknow but unlike my first book which brought in two reviews, zero occurred with BTW. I am also considering doing a few sales of my book in the next two or three months and see what happens with them. And of course I continue to work on my latest manuscript and reading plenty of books.